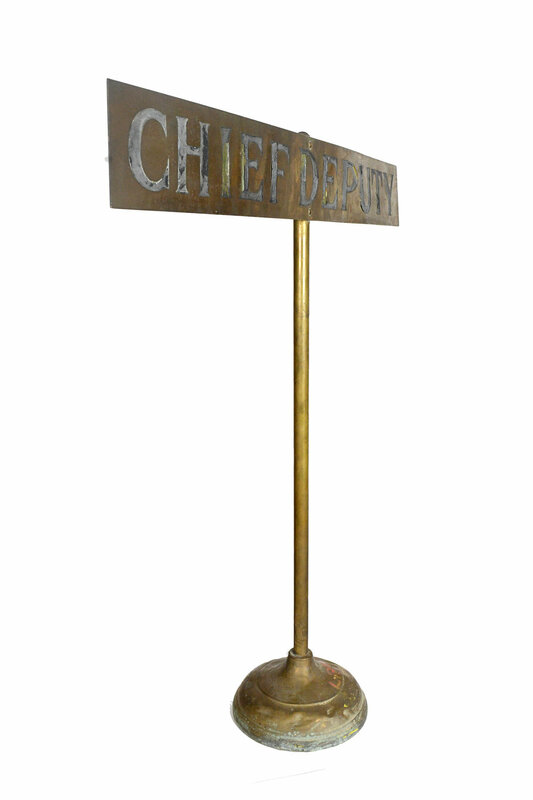 brass department sign "chief deputy"
We are glad to have these handsome signs. 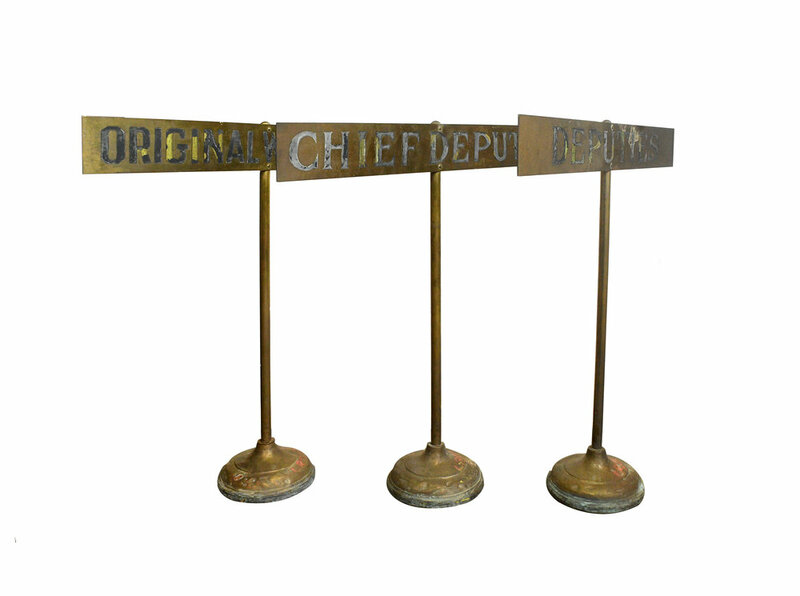 They are made from brass and each has different label. How cool would it be to have one of these signs on your store counter? 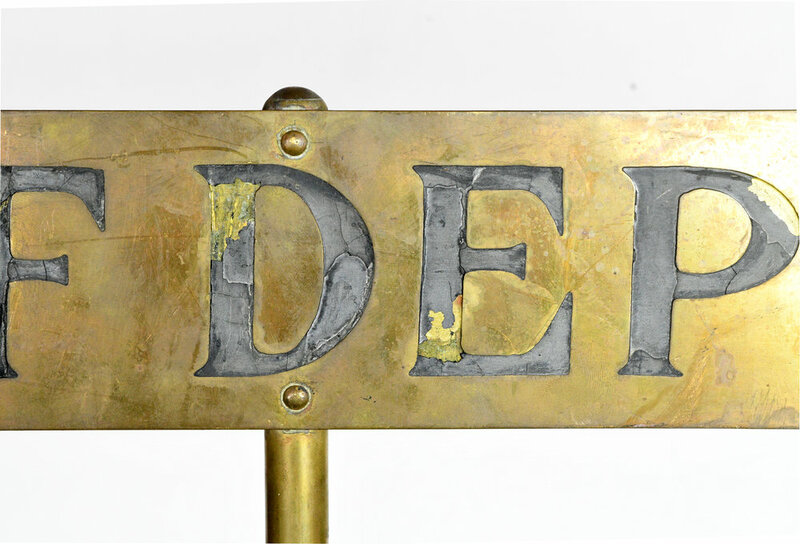 It could also be a piece of unique antique sign in your home or office, it would definitely catch your friends' and visitors' attention. 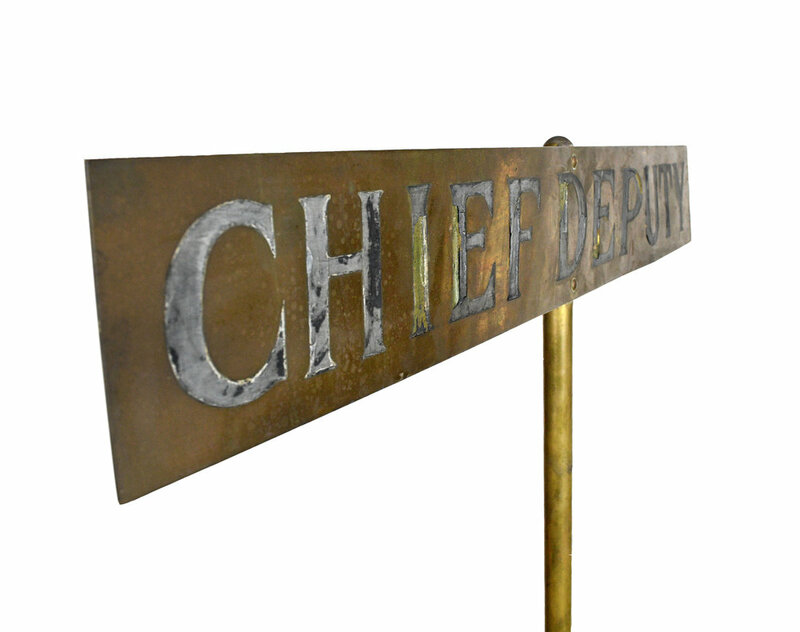 To see the "original writ dep't" and "deputies" please click on the links. $29.99 shipping within the continental United States. International shipping also available. Please contact us for a quote. Be sure to include the Product ID (47719A) when making your offer.